In 1978 to 2006, JASDF's future pilots used T-2 late types at the end of training to polish their flight skills. There were 2 types of T-2, early type and late type, and only the late type had an armament. Development for the T-2 began in 1967. In 1962, the JASDF decided to use the F-104J as their main jet fighter aircraft replacing the F-86F. At the same time, fighter pilots needed to develop a new aircraft in order to experience the supersonic performance. The 1st prototype was completed in March 1971. In 1975, the T-2 was deployed to the 21st Squadron of the 4th Air Wing at the Matsushima Air Base. Fighter pilots needed a total 140 hours of training, 80 hours of this by using the early type and 60 hours using the late type. Also the T-2 was used for the 3rd Squadron, the 6th Squadron and the 8th Squadron as a supporting aircraft. The T-2 late type was used for the Tactical Fighter Training Group from 1981 to 1990. A total of 92 T-2's and 4 prototypes were built, 62 of which were late types. 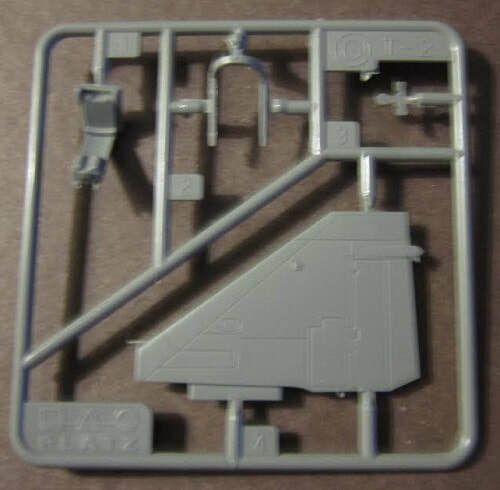 Platz is a model company based in Shizuoka City, Japan. The kit comes in a tray and lid type box. The box art shows a T-2 flying above the clouds. It is overall gull-grey with silver and white rudder and a black nose and anti-glare panel. It has the black fuselage number 132 on the fuselage sides under the cockpit. There is a yellow symbol on the rudder sides with the black serial no. 69-5132 below it. One corner of the box art has a short history paragraph in English on it. One side panel has a color photo of an actual T-2 in flight just landing with its gear down. It carries the no. 160 on the sides of it's nose and the serial no. 99-5160 on the sides of the rudder. 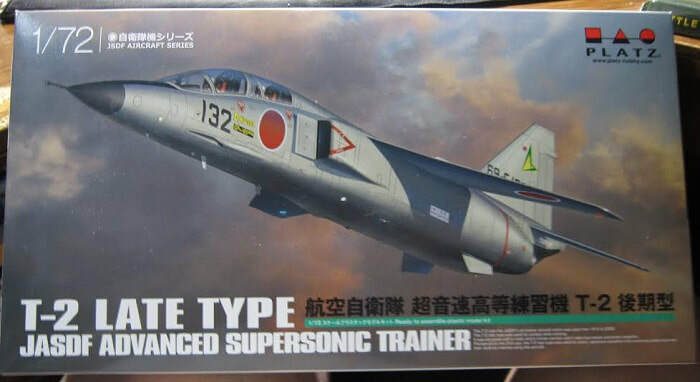 This is followed by the short history again in Japanese and English and features of the kit in the two languages: "1/72nd scale plastic model kit. Total length 245mm (10 inchs), width 105mm (a little over 4 inchs). Vulcan cannon which is distinctive characteristic of the late type is reproduced with great detail. Decals for the emblem and aircraft registration numbers of the 21st Squadron, 22nd Squadron, 3rd Squadron & the 6th Squadron are included". A small color profile of the box art scheme is shown. Platz's web address, phone and FAX numbers are provided. The other side panel has 3 color walk-around type photos of the model made up in the box art scheme, followed by a repeat of the kit's features and Platz's web address. 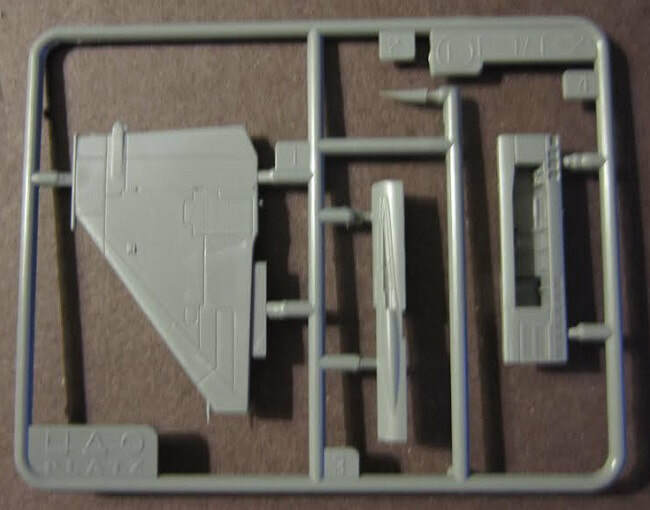 One side panel on the kit's tray has 3 color box arts of other aircraft kits that Platz markets: they are kit numbers AC-13, AC-15 & AC-19 which are all other versions of the T-2. 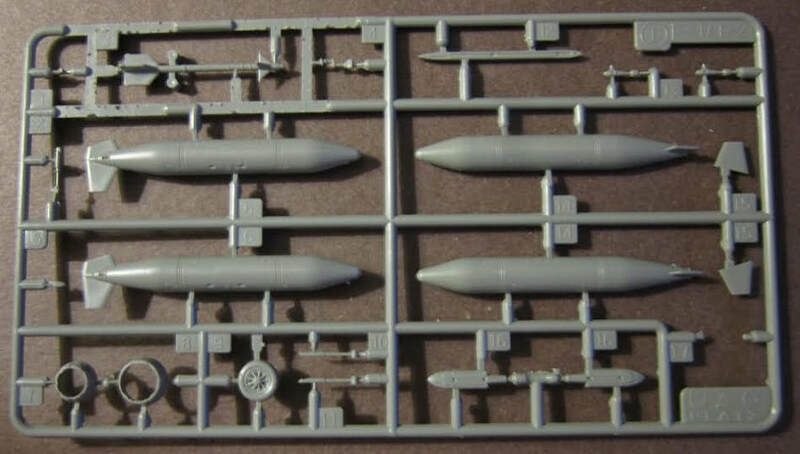 These are all part of Platz's JSDF Aircraft Series of kits. 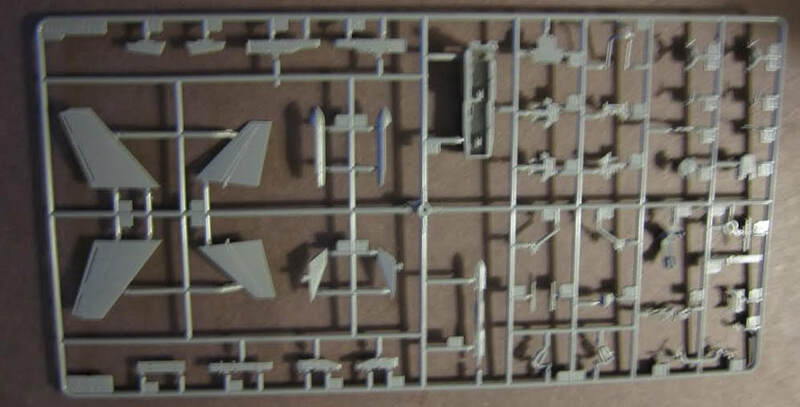 The other side panel of the kit's tray has 3 more color box arts of aircraft kits Platz markets: AC-9 a F-1, AC-16 a F-15J & AC-17 another version of the F-15J. The bottom of the tray has a color 4-view of the box art subject, with the short history repeated again. This kit contains 6 medium-grey trees and 2 clear trees in a self-sealing cello bags. The clear trees are both further sealed in a self-sealing cello bag and they are co-joined together. The decal sheet is in a large sealed cello bag and has a tissue on it's face to protect it from scratching. The instructions complete the kit's contents. It consists of a single sheet that accordion-folds out into 8 pages in 7" x 10" page format. Page 1 begins with a black and white small repeat of the box art, followed by the history of the T-2 in Japanese and English. 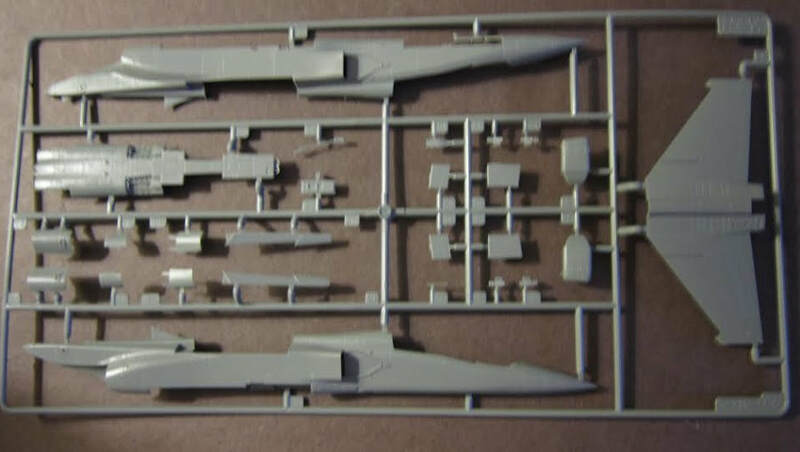 This is followed by a lot of Japanese text and then English instructions to study the instructions thoroughly before assembly and cautions about the kit. Platz's phone and FAX no. are provided. Page 2 through 5 give a grand total of 9 assembly steps. Page 6 and the top of page 7 have painting and marking instructions. The bottom of page 7 has the parts trees illustrations. 5 are with the 21st Squadron, 1 is with the 3rd Squadron, 3 are with the 22nd Squadron and 1 is with the 6th Squadron. The paint scheme is the same for all of them. Only the fuselage numbers and serial numbers change along with squadron logos in the rudder. ​Large medium-grey letter B parts tree holds: the wing bottoms, elevators, dash board, cockpit floor etc. (49 parts). 9 parts are shaded out in the parts trees illustrations as being excess and not needed to complete the kit. ​There is no letter D tree. ​Lettering jumps to the clear letter J & K parts trees. They hold all the cockpit windows. J holds 7 parts, 3 of which are excess. K holds 6 parts and 3 of them are also excess. The decal sheet completes the kits contents and it is very extensive with hundreds of stencil markings as well as cockpit interior decals for the dashboard and side consoles, fuselage numbers, Japanese Air Force roundels and Squadron logos. The decals are done by Cartograph and are very extensive. The stencil markings on the sheet are quite small and are so close together, that it will require a great deal of careful cutting to remove the stencils without damaging them. The larger markings are very useful. Putting the stencils on a separate sheet would help a great deal when applying them. ​This kit is definitely for the advanced modeler and not the novice. It is not a weekend project. I want to sincerely thank Platz for this review sample.